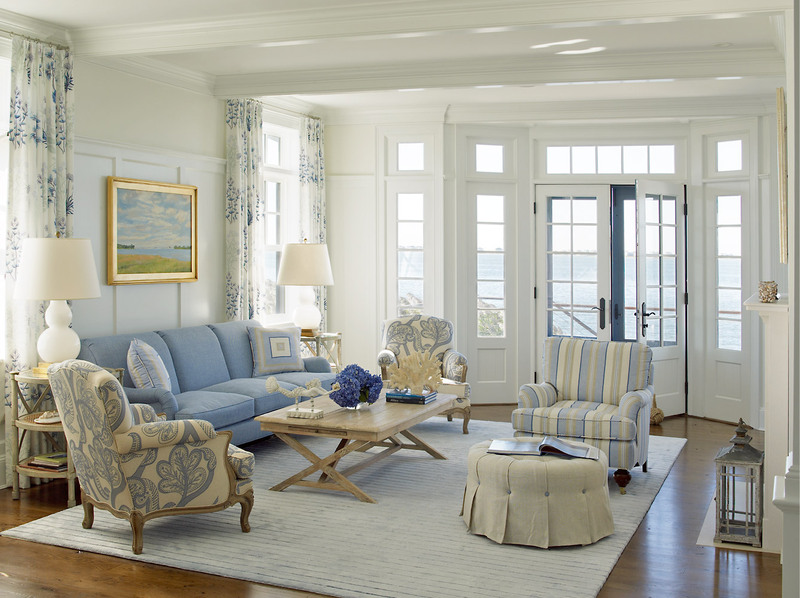 Like a ship looking out to sea, this new 3,800 square-foot Shingle Style house overlooks both Moriches Bay and a large marsh conservancy. 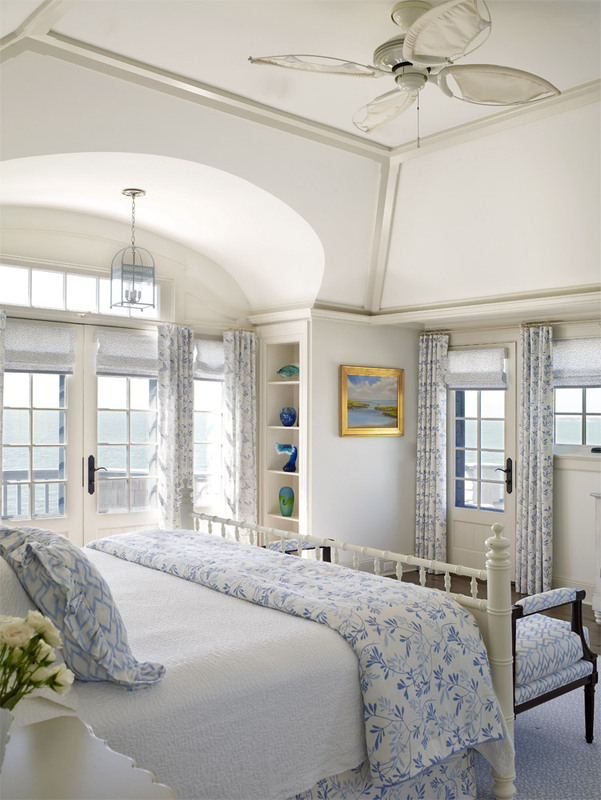 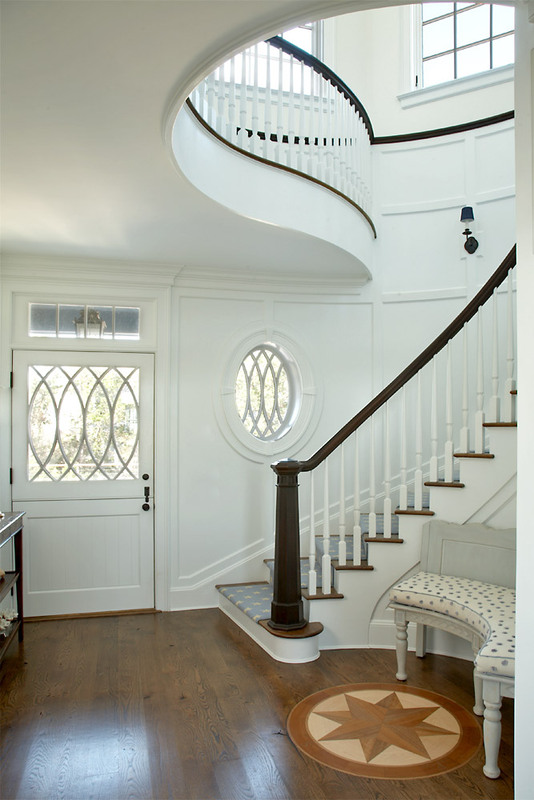 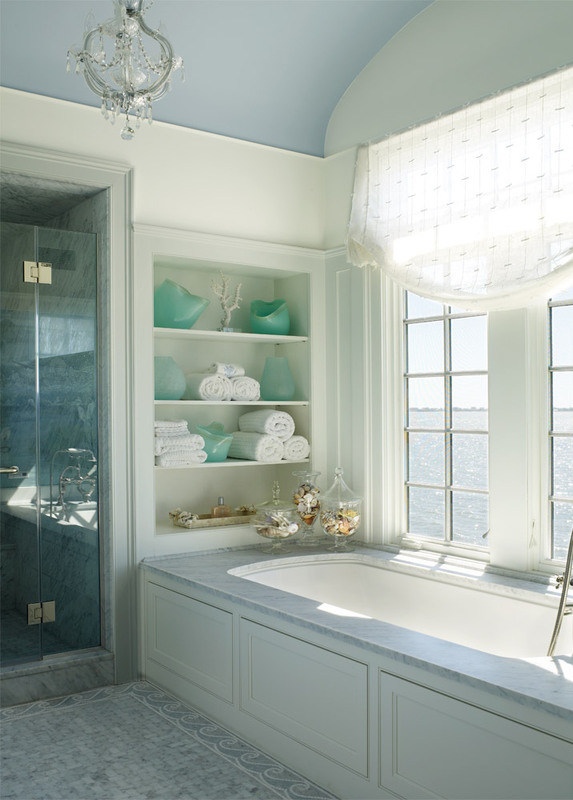 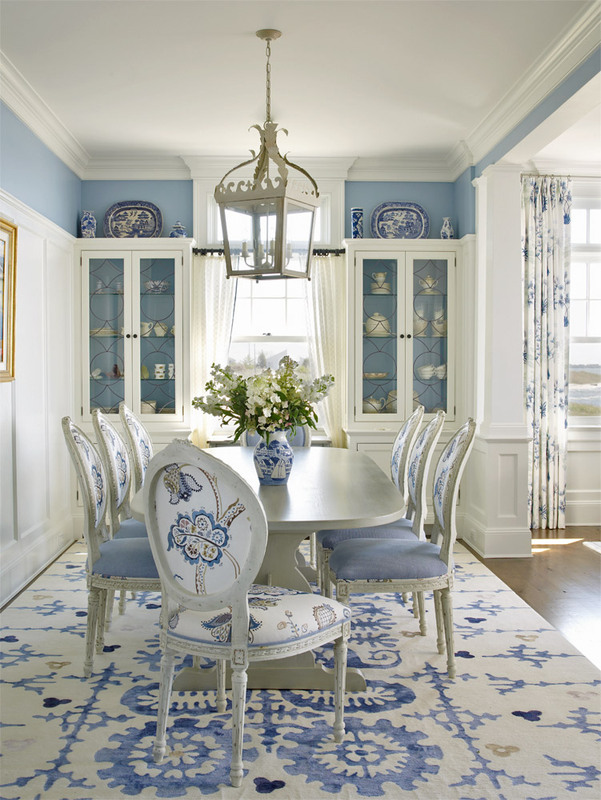 Its many nautical references contribute to the shipboard feel: round windows, a compass floor inset, bead-board paneling, upper and lower porches. 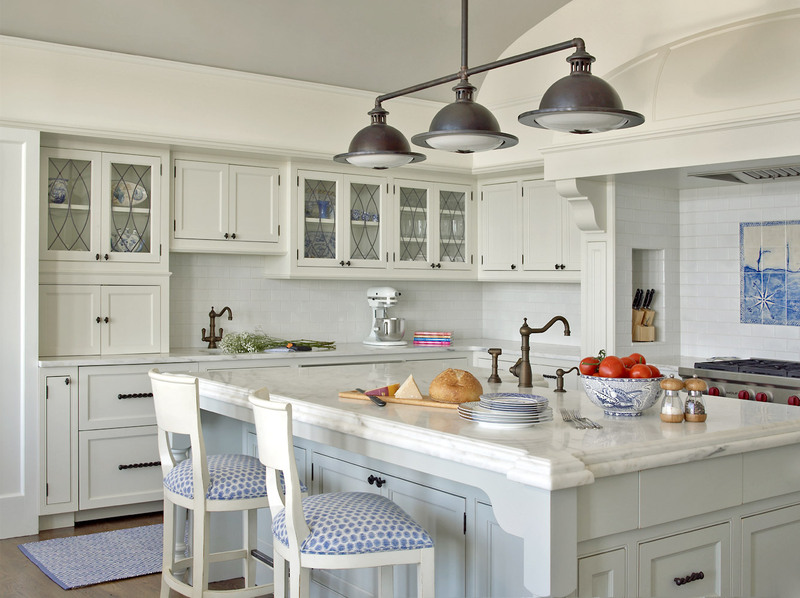 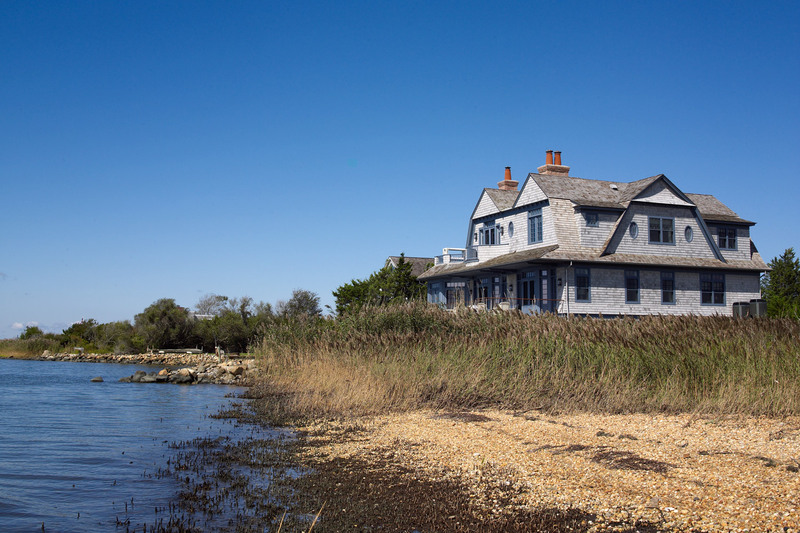 The house also features classic Shingle Style characteristics, neither grand nor pretentious, with a simplified trim system that reflects contemporary life.